0 Comments Published by Cedric Benetti on Monday, July 21, 2008 at 7/21/2008 07:28:00 PM. 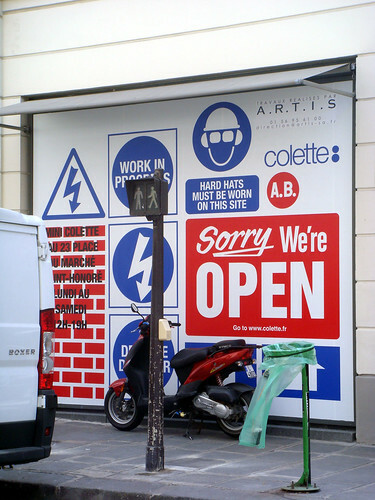 Colette store will be going through some face lifting this summer. The concept store is closed for construction work, but they managed to open up a mini-store at 23 place du marché St Honoré, not too far away from their usual spot. 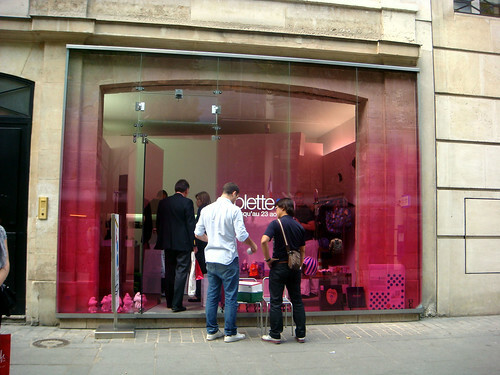 Colette reopens on the 25th of August. The miniature store...very tiny. Tiny is chic. Buy tiny.